Middle East: Home to the World’s Largest Mosaic Marble! Home / Blog / Middle East: Home to the World’s Largest Mosaic Marble! Yes, it’s actually in Oman where you will find the world’s largest mosaic marble! 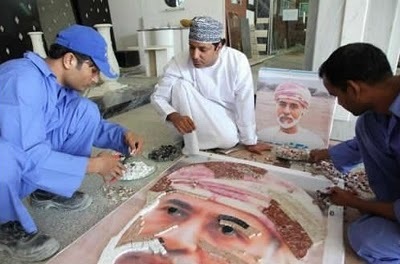 It was on the 40th anniversary of the rule of His Majesty Sultan Qaboos bin Said that the people of Oman decided to honor him with the biggest mosaic portrait. The achievement of such unique masterpiece required 120 days of hard work and the input of 15 artists from the UK and Bahrain. 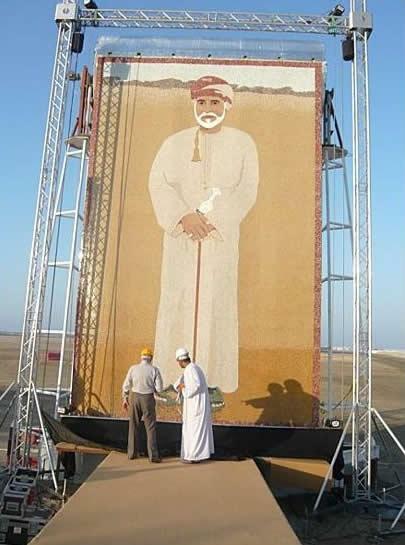 Using up to 128,274 individual marble pieces and 90 natural shades of marble mined from the mountains and sea beds of Oman, the portrait is a spectacular work of art measuring 8.30 meters in length and 5.30 meters in width. Meticulously worked, the mosaic is a true representation of the Sultan, showing the littlest details of his face, his mustache and beard, all made from his favorite stone, brought all the way from Italy!